Vic Morrison of Right on Brands, Inc.™ (OTC: RTON) called in to SmallCapVoice.com to go over recent news and moves for this company Los Angeles California based consumer goods company specializing in brand development of health conscious, cannabis based food and beverage products. 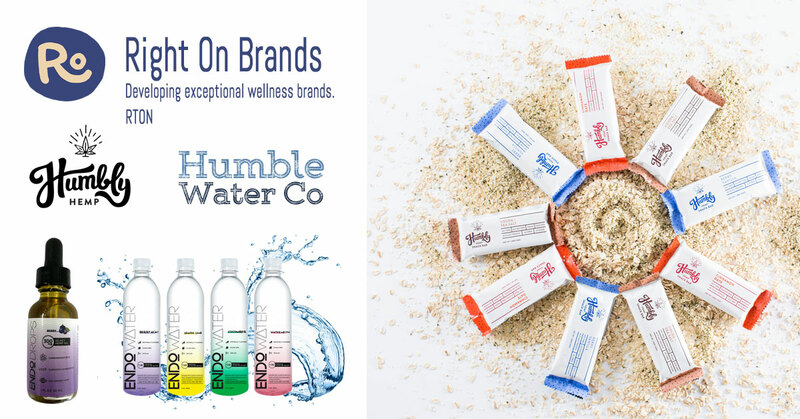 Right On Brands consists of four subsidiaries Humbly Hemp™, Endo Brands™, Endo Wellness Centers Inc and ENDO Labs™. This interview may include forward looking statements. These forward-looking statements generally are identified by the words “believe,” “project,” “estimate,” “become,” “plan,” “will,” and similar expressions. These forward-looking statements involve known and unknown risks as well as uncertainties, including those discussed in the following cautionary statements and elsewhere in this release. Although the Company believes that its expectations are based on reasonable assumptions, the actual results that the Company may achieve may differ materially from any forward-looking statements, which reflect the opinions of the management of the Company only as of the date hereof. SmallCapVoice.com, Inc. received $6,000 from the company on 3-6-19 for 30 days of service.